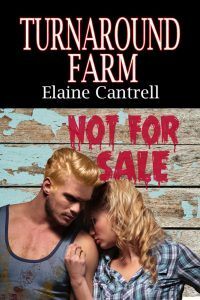 As Turnaround Farm lacks the benefit a modern electrical system, following a call of nature Holly ends up in Dan’s bedroom and slides into bed with him by mistake. When he makes a grab for her, Holly realises she’s in the wrong room and manages to extricate herself before Dan can have his wicked way with her. The embarrassing incident creates bad feeling between them and initially poisons Holly’s mind against Dan despite his shoulders being so wide he has to turn sideways to walk through doorways. But then Holly and Dan’s extended family conspire to get them together. All should have run smoothly but the local sheriff and FBI began looking for a local drug ring. Would Dan get sucked in? There is also a Hollywood superstar and a bungling FBI agent thrown in. Nice twists.